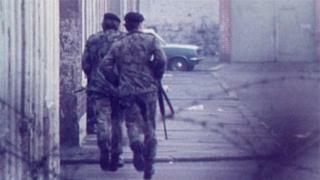 The public consultation on the legacy of the Troubles has been extended by a month. The consultation was due to last four months and end on 10 September. Speaking in the House of Commons the Secretary of State Karen Bradley announced that the deadline would be extended by three weeks. Mrs Bradley said the move follows from a request by stakeholders who say they need more time to respond. The government's consultation paper, 'Addressing the Legacy of Northern Ireland's Past', was launched in May. The consultation has now been extended to 5 October.